A few days ago I was minding my own business when I noticed a zombie and decided to follow her around. As often happens when you are paying attention to a subject, like I have been with other people’s photography exhibits lately, more of it shows up on the radar. Zombie girl somehow managed to shuffle her way to the Grey November Gallery. Just for the record I, Pearl Grey, am in no way related to the Grey November Gallery just as I’m unrelated to a certain wonderful British tea blend. 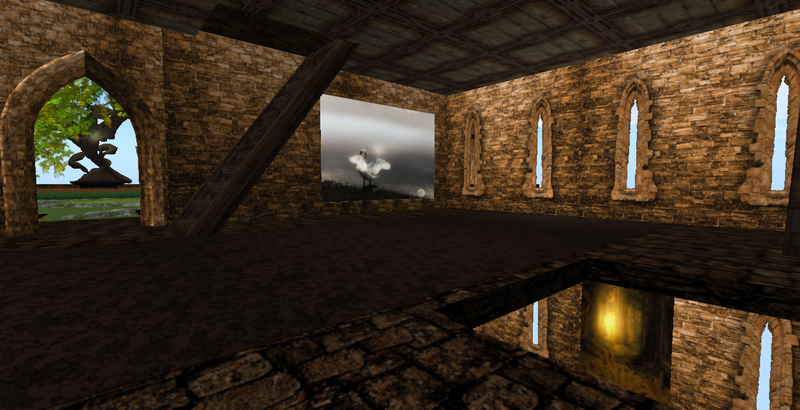 Anyway, I took my camera and within the magic of virtual worlds managed to follow the zombie without being detected. This room is located on the ground; there’s a raven that gives a landmark up to the gallery and I got us up there without too much damage. I followed her around to the back and stood in the rain while she clawed at the walls and doors making horrible sounds. The gallery features the real life photos plus some photoshop work of Rodriguez Munro. Usually it’s a lovely place to hang out. But the zombie kept getting distracted by movement. Nothing had flesh, blood or a heartbeat though and I did my best to keep her from clawing at the art. After she began gnawing on this picture, I got her out of there, mopped the floor and straightened things as best I could. Hopefully no one will notice. 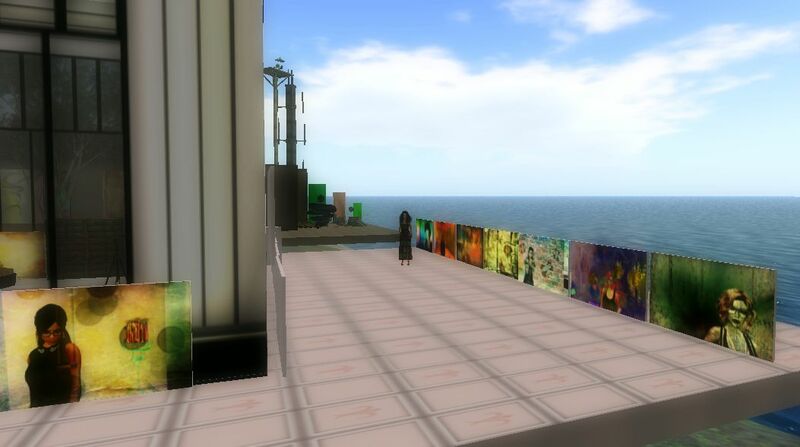 I recently got notice that writer, photographer and blogger friend, Cybele Moon, is having her first photo exhibit in Second Life and of course I wanted to see it, even though I enjoy her photography on her blog. 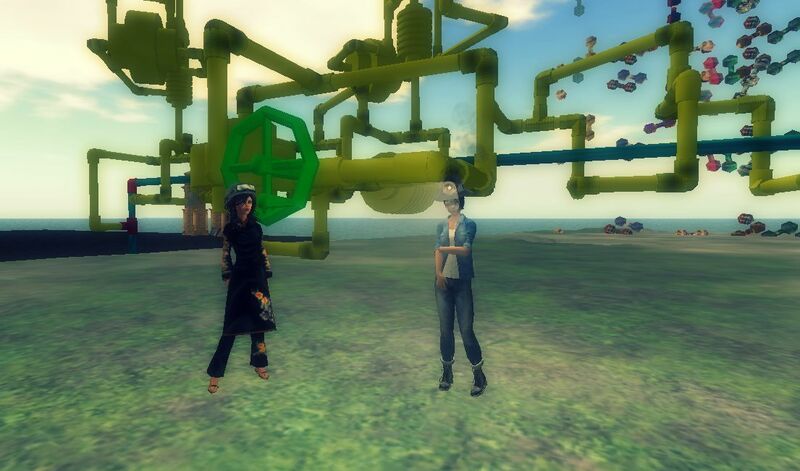 She was in SL for a time and real life has been too compelling for her to spend much time there now. Her fellow writer, Lizzie Gudkov, has exhibition space in LnL Square tower where the photos can be seen. Outside of the tower is a courtyard for hanging out. 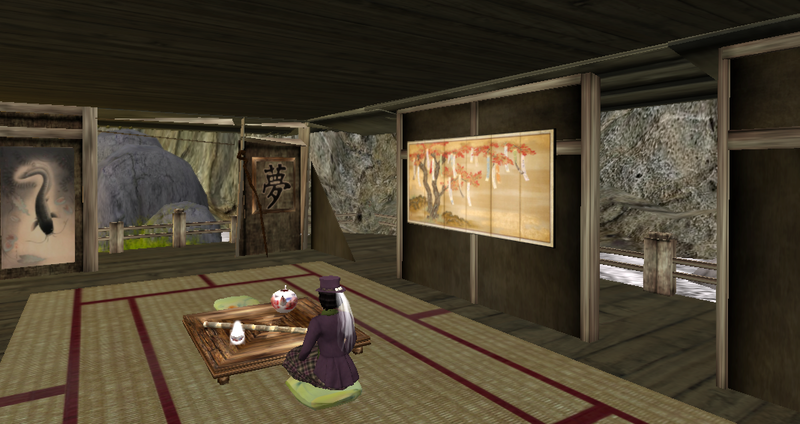 I noticed a teleport to a Japanese Garden near the landing which I hadn’t seen on my last visit so I went there to rest and have some tea. When I visit a place I like to teleport to a nearby road and explore the area. Usually the place I’ve just been is on the ground. But LnL Square is high up in Borgatti and I fell a long, long way to the road. I soon discovered I was on Route 12 in Nautilus. I’ll post some photos of route 12 on Thursday. 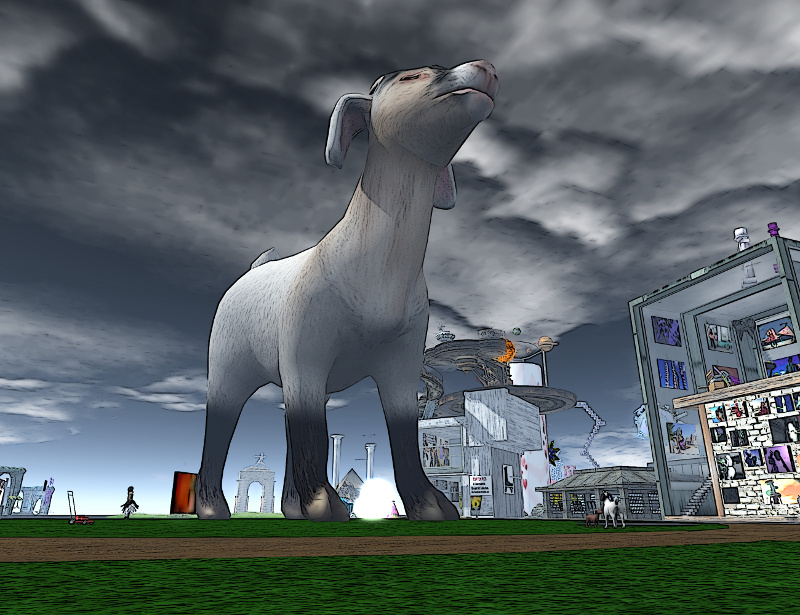 Tomorrow I have a post about a virtual photography exhibit for this blog.